I recently came across this drawing. I was probably about five when I made it. 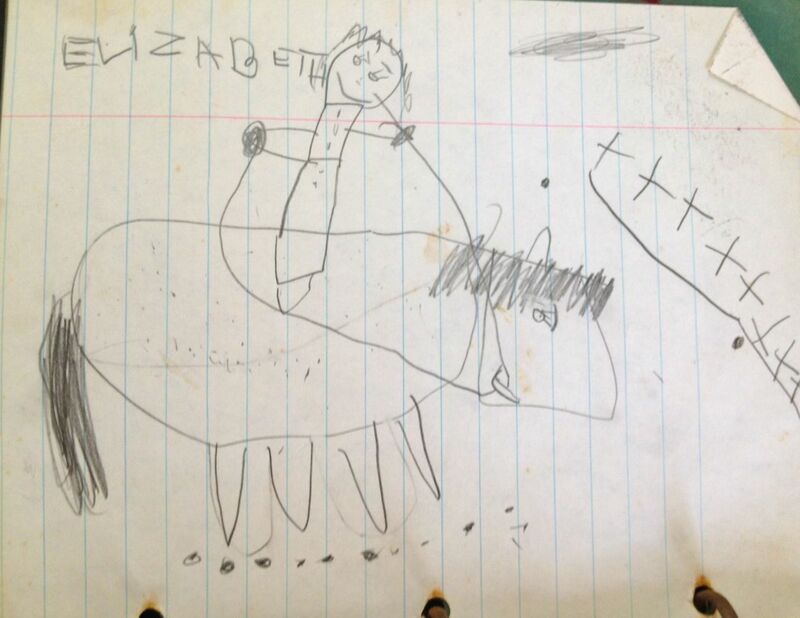 Okay, so my artistic talent hasn’t improved much since then, but it definitely shows that I have always loved horses! When I was a kid, I drew horses. I drew them on my notebooks, on pads — anywhere and everywhere. They were never very good, but that didn’t stop me. Looking back at them now, I can say they were, well, sweet. For all you who, like me, still doodle horses, here’s a video that shows you how to get a more satisfactory results. I drew horses all the time too. I have never been able to make them look real so I’ve settled for a cartoonish version. Once in a while I draw one on my whiteboard at school and my students make such nice compliments that you’d think I was Sam Savitt. I love that you saved your doodle!